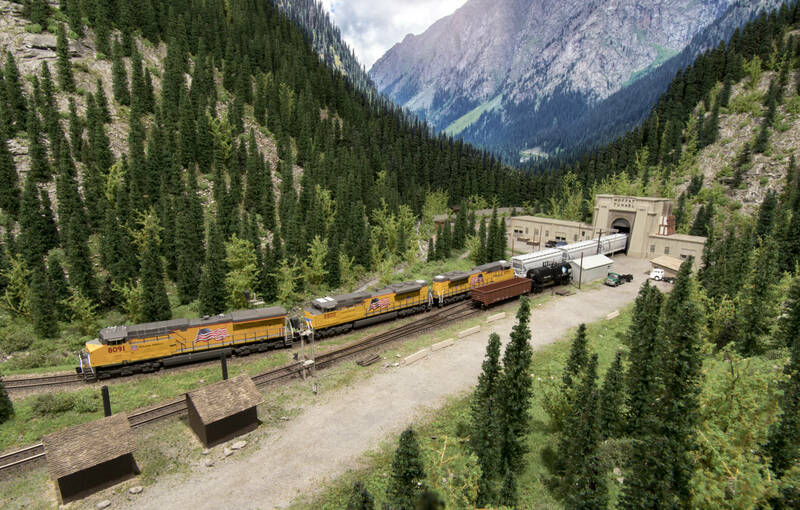 Here you will find some of my images, mainly modelrailroad and real trains. 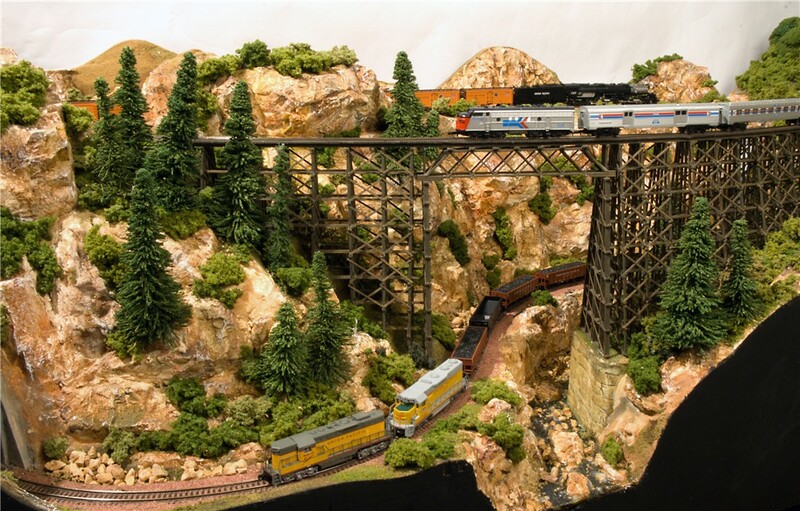 Photographing layouts and models have been a major part of my railroad hobby for years. Check out a New imagelibrary With some old, never published images from 2004. 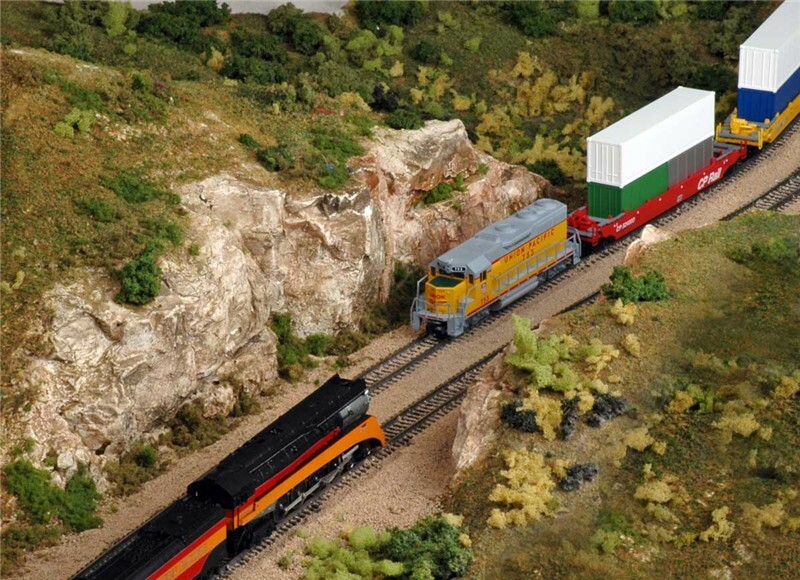 Check out some images from the Silver Creek Zmod Layout in Z-scale. The module is a Zmod-module, 120cm long and 40 cm wide. 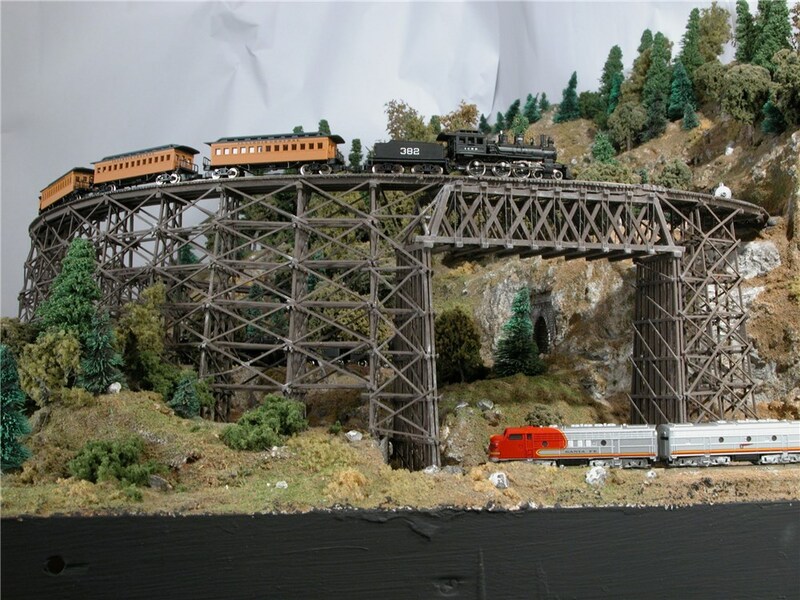 The bridge is scratchbuild with scale lumber. 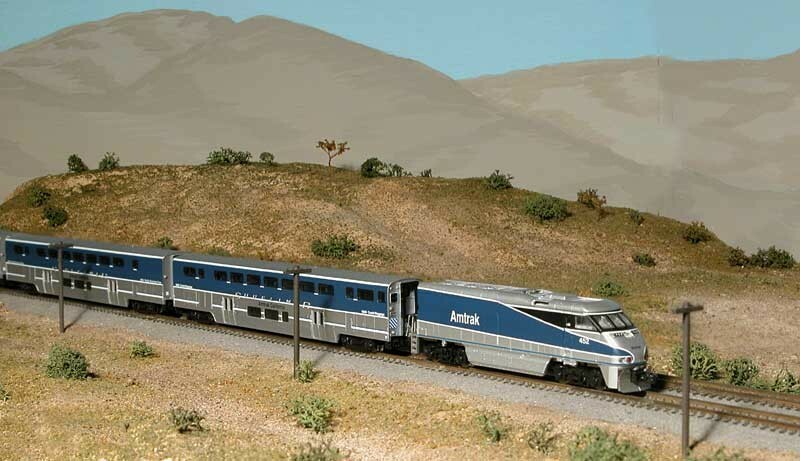 The equipments are the AZL Challenger, Märklin F7 Amtrak and 1 MicroTrains and 1 AZL engines. 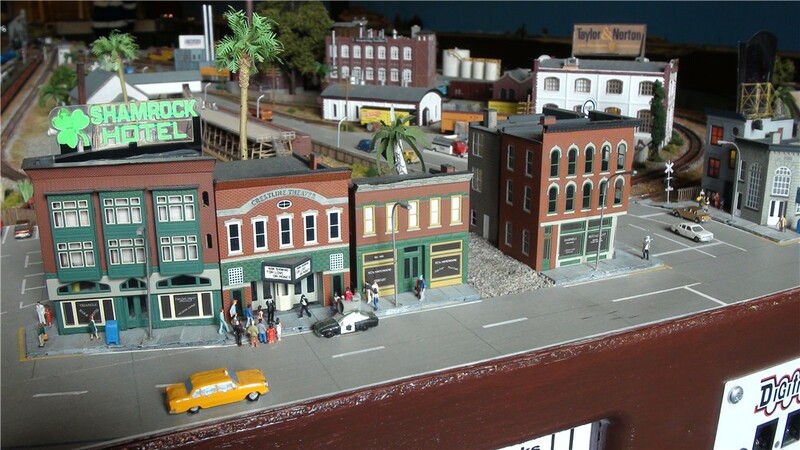 The cars are from Märklin and AZL. 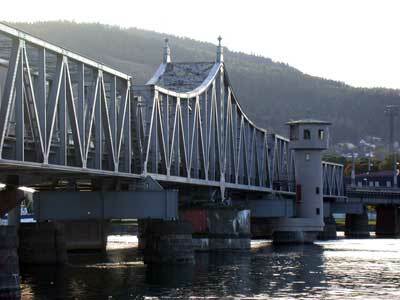 Check out some images taken by Jürg Rueedi under the ZMOD-show in Drammen, Norway, 18.-19. Sep 2010. 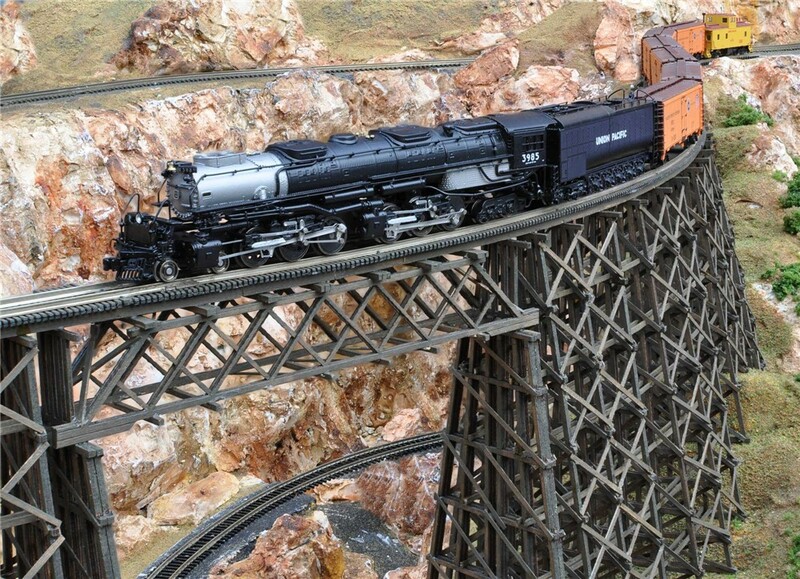 The engines are photographed on my unfinished ZMOD-module Silver Creek, on top of the scratch build trestle. 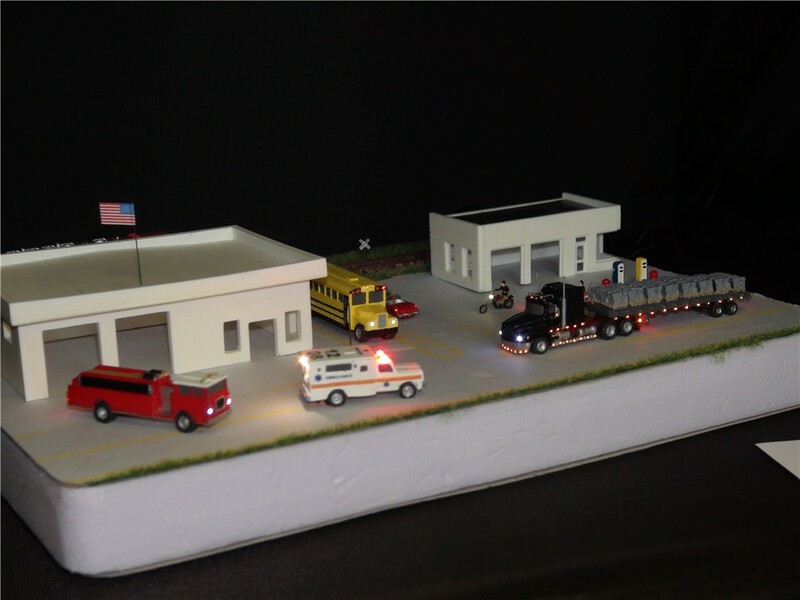 Some good engines in Z-scale made by AZL. Check out the GP-35 and GS4 in this series of test-images. On Dec 14. 2004, myself and Tor-Jørgen Moskaug were invited home to Hans Henrik Riddervold, the owner of American Z-Line(AZL) in his home in Oslo, Norway, to see some new models. 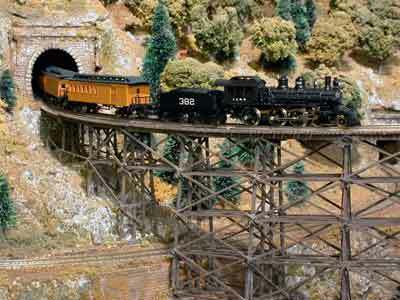 Check out some images from my Bjoerklie Viaduct, featuring the Märklin Casey Jones Trainset.